The Sierra Club is showing the film Tell It On The Mountain on Wednesday, February 18. This film follows six hikers who attempt the heroic feat of doing the Pacific Crest Trail—five months, 2,663 miles, Mexican border to Canada, crossing six of North America’s seven ecozones. What is it like to face bone-dry deserts, raging rivers, snow-covered mountain passes, mosquitoes, blisters, torrential rains… and the nagging urge to quit? Called by nature to leave their lives behind, these determined thru-hikers set out to spend five months traversing 33 designated wilderness areas, 24 national forests, and 7 national and 6 state parks. See the epic views, the wildlife, the food caches, the dangerous snowfields; learn about the mission of Trail Angels. “Unlike Cheryl Strayed’s personal journey in WILD, this film’s main character is the trail, spanning the U.S.’s long, rugged Western spine. Those who conquer the extraordinary physical and psychological challenges of thru-hiking certainly arouse our admiration and envy. 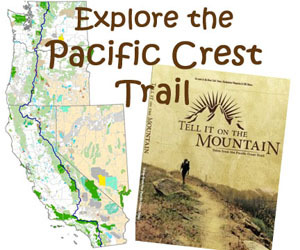 In the end, the film inspires gratitude that the Pacific Crest Trail will continue to beckon future generations who seek adventure, delight and tests of bravery,” said Gretchen Valido, chair of the local Sierra Club hosting the event. 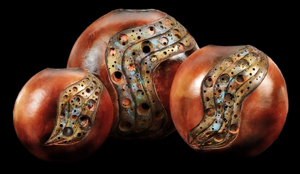 Celebrate Both Mom & Return of Spring at the Sunriver Artists’ Gallery.